The star’s environment—dubbed CARMA-7—boasts many intriguing features. The whole lot of them reside approximately 1,400 light-years from Earth toward the constellation of Serpens. Of course, the most striking are the jets, which are rippled, and almost perfectly symmetrical—extending from the protostar’s poles like interstellar beacons. 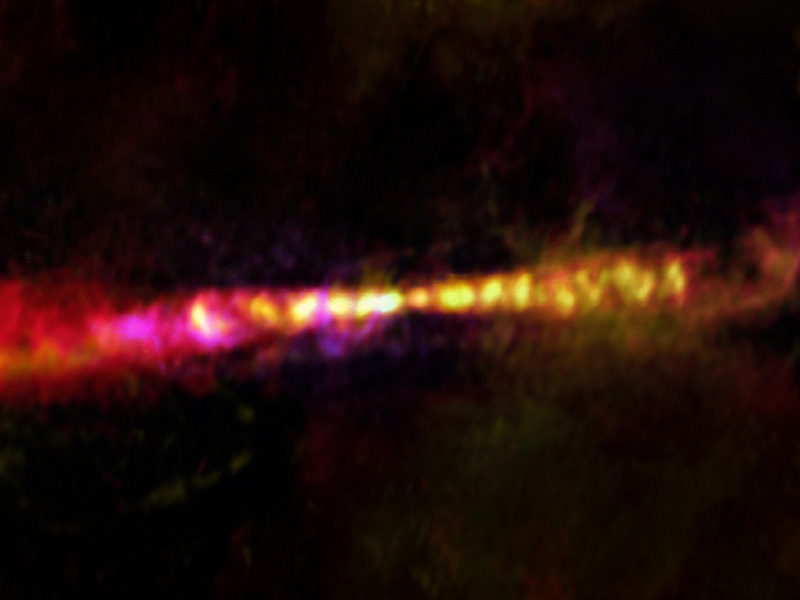 Astronomers believe that jets such as this are somewhat common with protostars, and are driven by gaseous outbursts from central stars. However, since we can only see the jets from certain vantage points, it is difficult to ascertain how they are created, and how often they form. We do know that they are fast-moving, sometimes travelling at speeds that exceed a million miles per hour.